In our never-ending effort to help you track and destroy bugs, we’ve been listening to you. Based on your requests, we recently added a new feature to Bugfender: In-App Feedback. We’re pretty excited about it. 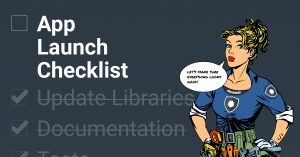 TL;DR — In addition to remote logging and crash reporting, our SDK now provides a method to capture feedback from users. This feature will boost your mobile user experience (UX) by allowing users to message you when an issue occurs or if they have a suggestion for an improvement. This change doesn’t affect our pricing structure. So now you’ll be getting more utility out of Bugfender on your current plan. 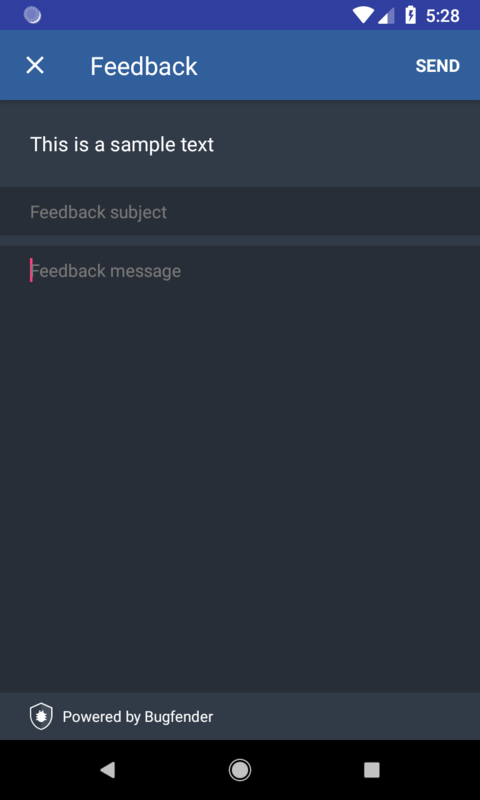 Android and iOS engineers rejoice because this brand-new tool also allows you the choice to build a bespoke feedback screen or use our default option. This new feature connects the dots between your team and the user by closing the feedback loop. Although you can see the issue in the Bugfender dashboard, maybe the user has some other intel that will help you fix the problem faster. Now you can directly ask the user: Tell us more about what’s going on. 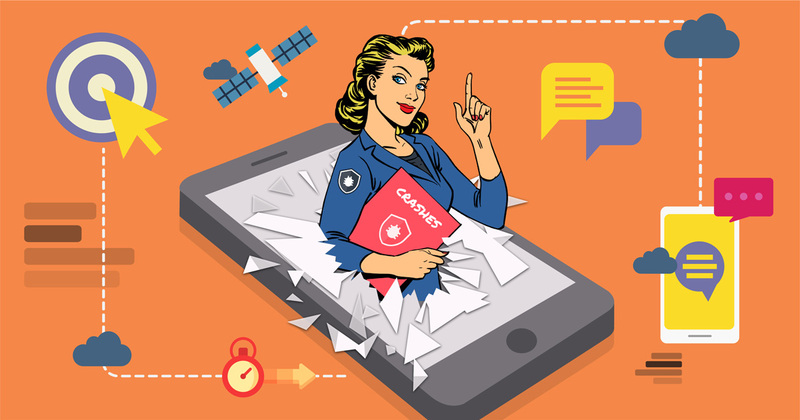 Gathering in-app feedback enables you to get human input regarding issues and bugs, fosters a direct relationship with your customers — which ultimately boosts mobile user retention and contributes to a 5-star rating. Bugfender’s user-friendly feedback form gives you the insight you need from the people who matter most — your customers. 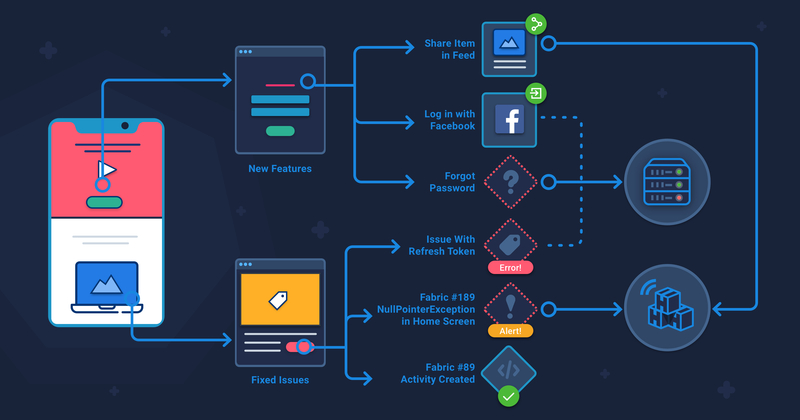 By embedding the feedback collection in your app, Bugfender brings you closer to your user’s negative experiences so that you can quickly debug and address issues. Collecting user feedback is a vital part of managing app performance. Use feedback to start a conversation with your users so that they are aware that you’re working hard to solve the issue. Create your own UI for the feedback screen or simply use our default option if that’s your preference. This feedback tool is customizable to fit with your app requirements and branding. If users feel seen and heard by your team, they’ll feel less helpless and more a part of the problem-solving process. By allowing users to give their input, you give them a voice and a stake in the process. When a screen pops up asking for feedback, you’re implicitly telling users that you’re attentive to their needs and on top of things. Giving users more agency translates to higher rates of user retention — and better reviews (which will in turn win you new users). In-app feedback helps prevent Twitter call-outs and 1-star App Store meltdowns (“If I could give this app negative stars, I would!”) By allowing the user to vent to your team, you’re mitigating the risk that they will complain publicly. Our in-app feedback tools work with native iOS and Android apps as well as hybrid apps. We’ve covered all our bases. *You can check the full default and custom UI documentation here for Android and iOS. The more we can help you stay competitive, increase user-friendliness, debug faster, and grow your business — the more we succeed as well. We created Bugfender to help you flip a switch and see all the mobile app bugs scatter — and stop them. We have various pricing options for teams of all sizes. Get started for free, no credit card required. Learn more here. as_tesco Created with Sketch. as_ford Created with Sketch. as_slack Created with Sketch. as_volkswagen Created with Sketch. as_intel Created with Sketch. as_aimail Created with Sketch. as_cantina Created with Sketch. as_eye-d Created with Sketch.